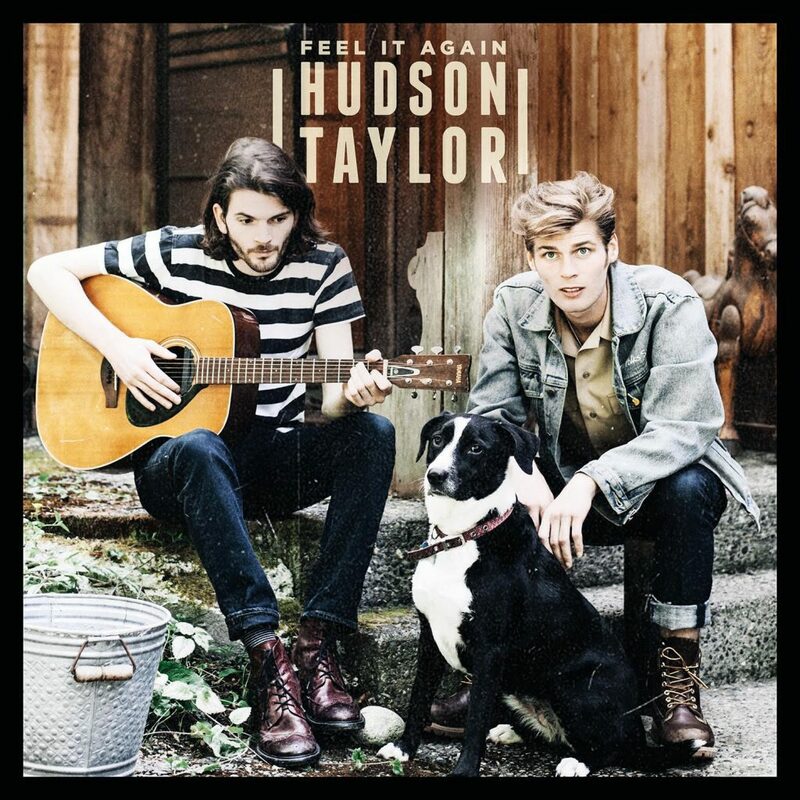 I first encountered the music of Ireland’s hugely popular duo Hudson Taylor when I caught them opening for Gabrielle Aplin a year ago this month. I’d been a big fan of Gabrielle’s for roughly a half dozen years and was so excited to finally see her live. So much so that I just wanted whoever Hudson Taylor was to play a very brief set and get off the stage already so I could see her. Well, that changed halfway through Hudson Taylor’s first song. 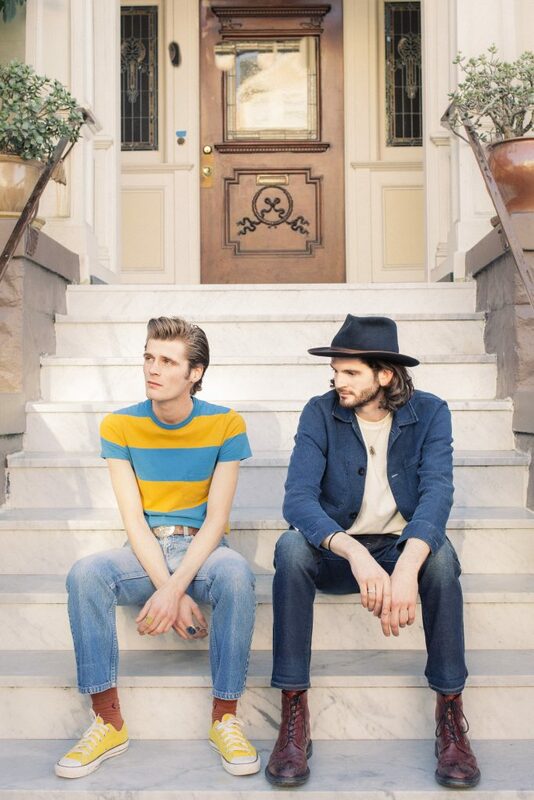 I was immediately blown away by how well the duo – brothers Alfie and Harry Hudson Taylor – sang together. Their voices sounded amazing on their own, but when they harmonized ensemble they immediately reminded me of The Beach Boys, one of my all-time favorite bands. Just as Brian Wilson, Mike Love and company’s voices produced nothing short of magic when combined, Alfie and Harry’s harmonies were equally out of this world amazing. Since that show, the duo has been through Boston two more times, once headlining and once in support of Hozier. Well, they return to City Winery this Saturday, February 9, 2019, for not one but two shows. The first is scheduled for 5:30 PM and the second for 8:30 PM. I understand tickets for both shows are selling fast so I strongly suggest you buy yours now and have a blast at the show. Or shows, if you’re lucky enough to be able to catch both. In the meantime, here’s my chat with Alfie himself from yesterday. AHT: I’m very good, Michael. How are you? MM: Good, good. How’s the tour going? AHT: It’s great so far. It’s going very well so far. It’s just really nice to be out here on our own. It’s been really, really fun being back. MM: Your last trek through the States had you opening for Hozier. How did his audience respond to you and what size venues were you playing on that tour? AHT: We toured with Hozier around late September and October last year and it was actually an honor to tour with him. We’re huge fans of him. We’re kind of friends. Musical friends anyway. We’re from the same country. We came over on a six week tour with him playing amazing theatres all over the U.S. and Canada. Anything from 1500 people to 4000, you know? It was a mind-blowing experience. We played The Beacon in New York for three nights in a row. That was one of the highlights, but, to be honest, every night was a highlight. I was just pinching myself, trying to take it all in. And the audience that he has is reflective of Hozier himself because he has such a lovely audience. The audience was so kind and very respectful. Very much like Hozier himself. I haven’t a bad word to say about him. MM: Did you get to join him on stage for a song or two? AHT: We weren’t that lucky. MM: So, you’re doing two shows the same day at City Winery in Boston on the 9th, which is something pretty rare for artists to do, two shows in the same day. Are you doing two shows the same day throughout the tour or is that a unique situation? AHT: That’s one that’s pretty unique to Boston, actually. When we came out here on the Hozier tour we had time off in between his shows. We booked our own kind of tour for our days off from his. And we played City Winery then and I guess they liked it because we’re playing two shows this time. We took that as very good news. We must have done something right when we played there last time. So, it’s unique to Boston. It’s the only stop on the tour where we’re doing two shows. We’re excited for that. MM: Will this be your third or fourth time playing Boston? AHT: Um, one, two, three, this will be our fourth show because we’ve been to Boston three times. Once with Hozier and once for our own show and we were also over with my partner Gabrielle Aplin early last year on an acoustic tour. And we played in Cambridge. MM: I saw that one. I really liked it when you joined her on stage. Do you think that you’ll be collaborating on each others’ next albums? AHT: Absolutely. Absolutely, yeah. She has a phenomenal voice and she’s really good at singing harmonies. I think because we’re together she comes to a lot of our shows and she’d be singing in the audience anyway so we’re trying to put a microphone in front of her so everybody can hear it. But we’ve already recorded with her. We’ve been very lucky to have her singing on a lot of new songs. MM: Since you’ve played Boston a few times now, do you have a Boston story or memory that you can share with us? AHT: I have very fond memories of being in Boston – last year supporting Gabrielle and then again with Hozier. Playing the House of Blues was an honour and and a great laugh. I feel like it was the best response we got on the whole tour and we met some great people after. I’ll never forget the reaction to when we played the legendary ‘Shipping Up to Boston’ at the end of our set after our song battles – The place was hoppin, reminded me of some gigs in we’ve done in Ireland. MM: Are you road-testing any new songs on this tour? MM: In other words, are you playing any new songs? AHT: We are. We are. Absolutely. We have lots of new material. We’re always writing songs anyway. We have lots of new stuff. We didn’t get to play it on the Hozier tour because we only had 30 minutes, but we’re playing lots of songs that we didn’t play four months ago when we were out here. This time on this tour we have my brother Harry and two other brothers in our band who both sing so we’re doing a lot more with the harmonies and things like that. We’ve worked on some arrangements and acapella songs. We’d like to try them on some of the dates. Just singing with microphones and seeing how that goes down with the audience. In our experience, our audiences have been very receptive. MM: Did Ryan Hadlock produce the new studio tracks on Bear Creek to Dame Street? AHT: He did indeed. He did indeed. Ryan runs Bear Creek studios in Seattle. He got in touch with us years ago to maybe work on our first record but for some reason – I think it was because we were so far away – we kind of had a plan but it didn’t work out. Then four years on we’re in Bear Creek studio recording with him. We recorded 15 tracks with him last year. Early last year. We really enjoyed that. He has a beautiful studio and he has so much to give. He was very, very supportive of what we were doing. MM: Harry had told me that the songs on Feel It Again were from an album you were making with Ryan Hadlock. How come you only released four new songs on Bear Creek instead of a new full-length album? And when do you think you’ll release a new full-length album? AHT: Well, we’re very open to new ways of releasing music so After recording in bear creek we released an EP ‘Feel it Again’ and then went on tour in Europe and then around Ireland. We decided to record and film our hometown show in Dublin. We were well rehearsed and the crowd were phenomenal, they sung everything. We had never put out live recordings before, when we heard it back we thought we had to release them. So we put them together with 4 more songs from our bear creek session to create ‘Bear Creek to Dame Street’ a 9track album of live and studio recordings. We hope to release our next full length Album this year. MM: When I interviewed Harry roughly a year ago he said that you have an old soul. Would you agree and, if so, what does having an old soul mean to you? AHT: Hmm I don’t know, I don’t think there’s a way of knowing these things for sure. But the chorus of our song ‘Old Soul’ came to me after being called one by my sister Chelsea. I responded by saying she was an old soul. She explained the saying and it resonated with me and related to my relationship and a few people I know. MM: Harry also mentioned that you have a big vinyl collection. How many records do you own? Why do you think vinyl has made such a comeback? AHT: Yeah I’ve picked up a lot of vinyl of the years, maybe 100 records however there’s always more to get and all my favorites belong to Gabrielle. 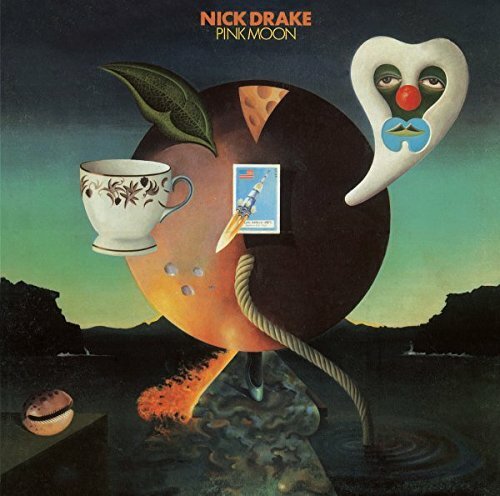 Nick Drake’s Pink Moon and Joni Mitchell’s Blue get a lot of play. 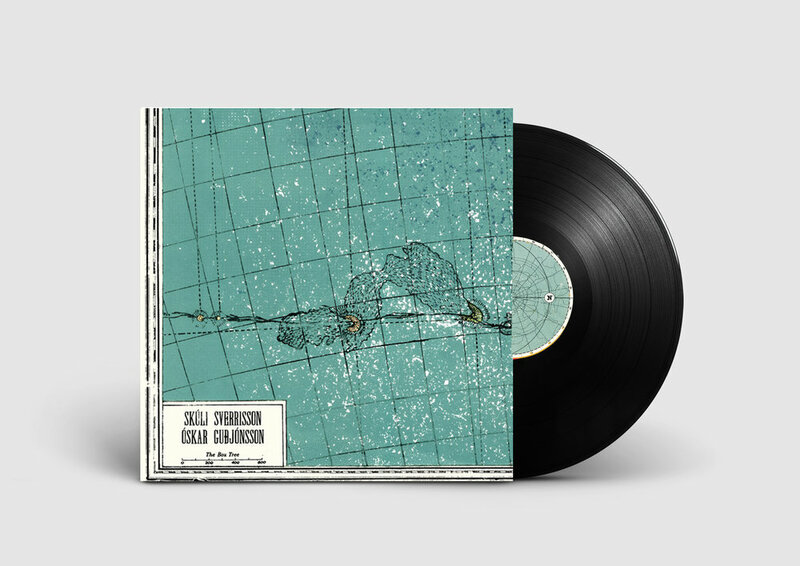 MM: Do you tend to buy more new releases or old, classic albums on vinyl? AHT: I’m not fussy on new or old, I buy the music I like to listen to. I think there’s lots of reasons people are getting back into it. For me just owning a physical copy of an LP I Love is enough. I also love the crackle and the routine of listening to something in its entirety and seeing it’s artwork in a larger format. It’s also a lovely way to support artists. MM: What is your most prized possessions in your collection? AHT: I was given a record by a friend Colm, who lives in Iceland. It’s by Skùli Sverrisson and Oskar Guðjónsson. It’s all instrumental but to me it’s like a reset button and lovely to have on around the house. It’s on heavy rotation and I think it’s a beautiful album. 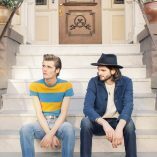 Buy Hudson Taylor tickets from City Winery. 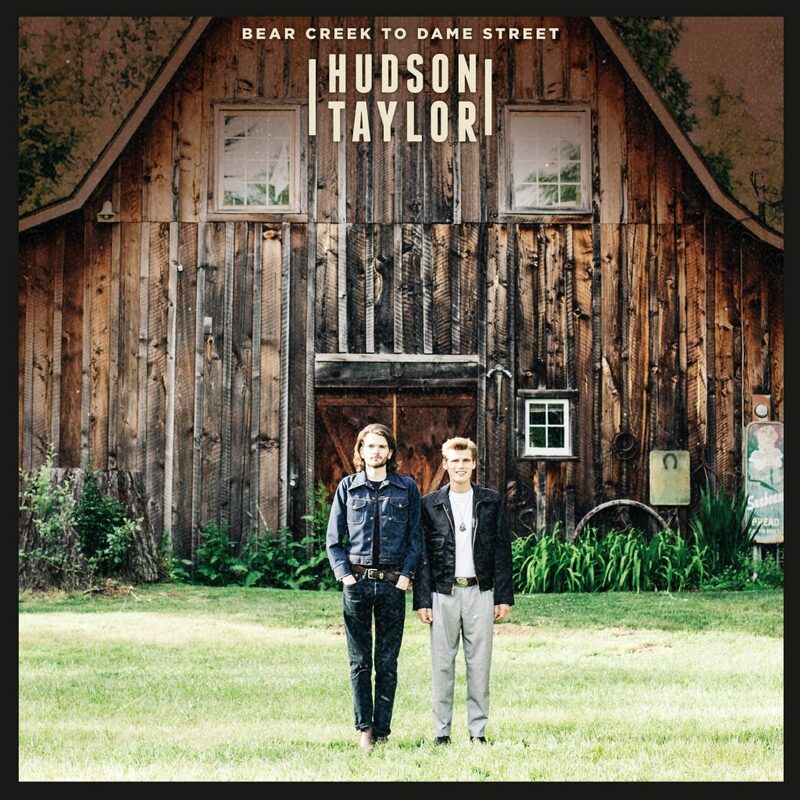 Follow Hudson Taylor on Twitter. Special thanks to Alfie for taking the time to chat with me and for answering a few of these questions via e-mail. Thanks also to Jillian Santella for setting it up.